When designing pressure vessels for water, liquids or gases hand calculations based on first principles and rules of thumb based on standards are required. Finite Element Analysis (FEA) is a great tool to confirm these results and to also visualize how the pressure affects the vessel. 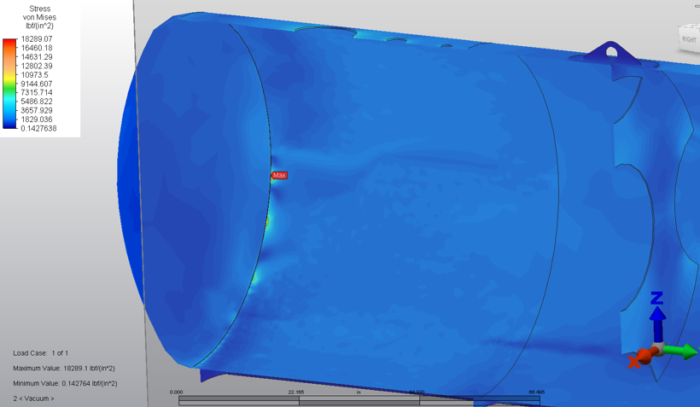 This FEA simulation does a great job in highlighting how the stress is concentrated along the seam from the tube to the end cap.